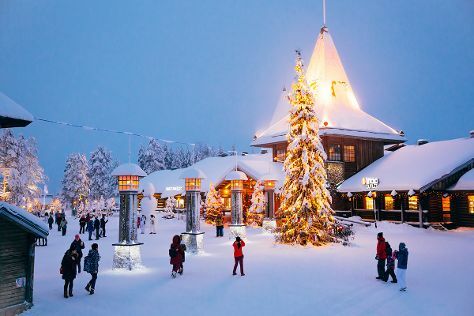 Kick off your visit on the 30th (Sat): get engrossed in the history at Arktikum, look for gifts at LAURI, then have fun at Santa Claus Office, and finally get in on the family fun at Santa Claus Village. To find ratings, photos, more things to do, and other tourist information, go to the Rovaniemi trip itinerary maker . Stockholm, Sweden to Rovaniemi is an approximately 6-hour flight. You can also do a combination of flight, taxi, and bus; or drive. The time zone changes from Central European Time to Eastern European Time, which is usually a 1 hour difference. Traveling from Stockholm in November, expect Rovaniemi to be little chillier, temps between -2°C and -7°C. Finish your sightseeing early on the 30th (Sat) to allow enough time to take a train to Kemi. Kemi is a town and municipality of Finland. For where to stay, photos, maps, and other tourist information, read our Kemi trip itinerary maker tool . Traveling by train from Rovaniemi to Kemi takes 1.5 hours. Alternatively, you can take a bus; or drive. Expect a daytime high around 0°C in November, and nighttime lows around -5°C. On the 30th (Sat), you're off toSaariselka. 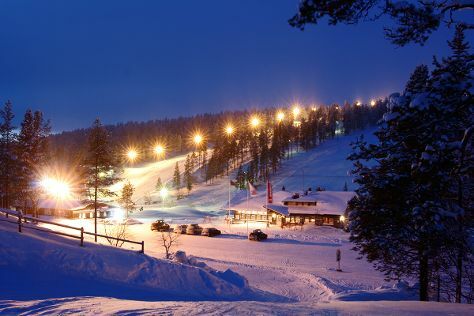 On the 1st (Sun), hit the slopes at Saariselka Ski & Sport Resort. To see photos, ratings, other places to visit, and more tourist information, you can read our Saariselka online trip itinerary builder . Traveling by car from Kemi to Saariselka takes 5 hours. Alternatively, you can do a combination of train and bus; or take a bus. In December, Saariselka is a bit cooler than Kemi - with highs of -7°C and lows of -17°C. Wrap up your sightseeing on the 1st (Sun) early enough to travel to Helsinki. On the 2nd (Mon), contemplate in the serene atmosphere at Rock Church, learn about all things military at Sea Fortress Suomenlinna, then wander the streets of Katajanokka, then get a taste of the local shopping with Market Square Kauppatori, and finally stop by Taiga Colors. For traveler tips, reviews, more things to do, and tourist information, read our Helsinki trip builder site . Traveling by flight from Saariselka to Helsinki takes 4.5 hours. Alternatively, you can do a combination of bus and flight; or drive. Traveling from Saariselka in December, expect nights in Helsinki to be much hotter, around -3°C, while days are a bit warmer, around 3°C. Cap off your sightseeing on the 2nd (Mon) early enough to travel back home.